Escalante Showhouse is the round-top building on the left. Notice the ticket gate in the center and the posters on the right. 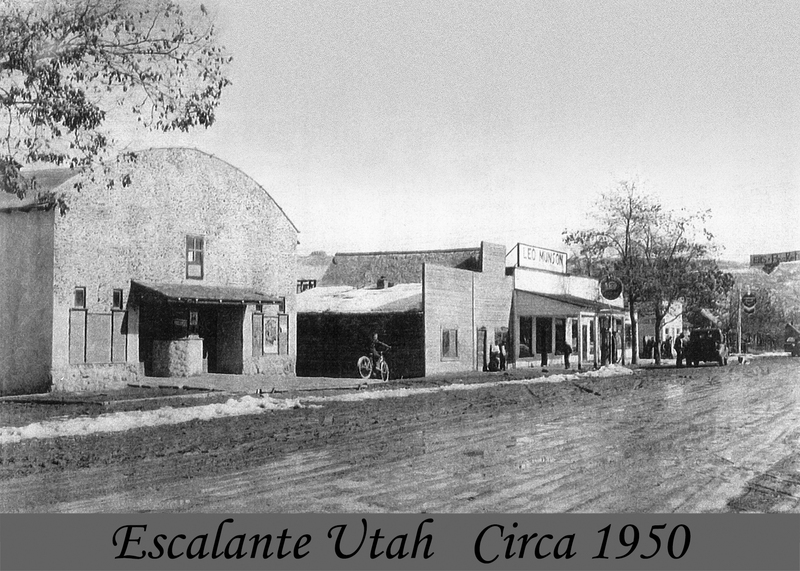 Entertainment in the rural village of Escalante, Utah, has always centered around music and dancing beginning in 1904 with the old “Star Hall”, which served as the original movie theater. Community members and visitors looked forward to Saturday Night town gatherings and entertainment. In 1938 Lorin Griffin built the original “Show House” at 50 North Main Street. During construction, Lorin would trade the local kids popcorn and tickets to the movies for “pretty rocks” – petrified wood – which covers the stucco facade today. Restoration will include restoring the original facade stucco and then replacing all the “pretty rocks” with the final coat. Star Hall was demolished in 1945. leaving the Show House as the only source of town center fun. Movies were shown here every week by DeRay Porter. In the mid 60’s Lorin’s health turned bad and the Show House was purchased by Gail Bailey. Lorin’s son ran it until the mid 60’s. Ownership has changed several times until 2013, when it was purchased by Jenifer and Shannon Steed, Owners of the Wild West Retreat and Cowboy Cookouts. Glad that Shannon and Jennifer are restoring the theatre and doing something with it. Thank you for making the town a better place. It will only become more beautiful as people contribute and build the community like this. I remember going to the theater when I was about 4 years old and watching “Bednobs and Broomsticks”! My great grandfather built this show house. I’m beaming with pride that Jennifer and Shannon are remodeling it. I hope that my family and I can help celebrate this wonderful event with all of you. Thank you Jennifer and Shannon. We love you guys! Have always wished that someone would revive this place!! Thank You Jennifer and Shannon Steed!!! I can’t wait for the opening! What a wonderful project for the town! 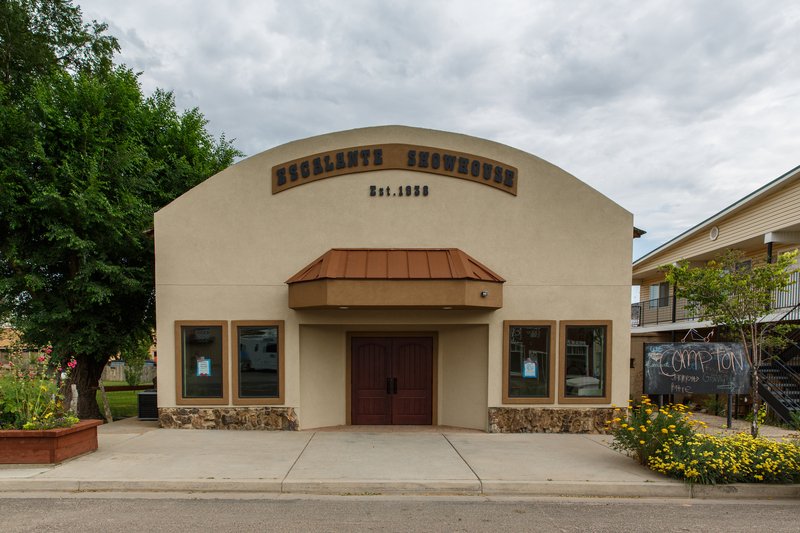 Thank you for taking it on and creating another great place in Escalante! i have lots of childhood memories ofEscalante show house,can’t wait to see it finished. I’m shure Grandpaw Bailey is smiling. Have to visit, please keep me current.